(b Longford, 14 February 1872; d Dublin, 23 April 1938). O’Farrell was the third and youngest son of Padraic O’Farrell, also a piper, and performed at regional fairs and fleadhs with his father and two elder brothers, Michael and Fiachra, in the late 19th Century. Initially achieving moderate popular acclaim as a family band, as documented in Captain Francis O’Neill’s “Irish Minstrels and Musicians” ¹, in later years O’Farrell was shunned by the traditional music establishment for his tendency to emphasise the sonic capacities of the uilleann pipe’s regulators over the chanter as was common in standard practise. 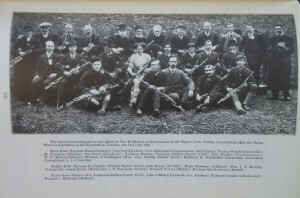 His pariah status was confirmed when his name was omitted from a group photograph taken after the Union Pipes Competition at the Rotunda (Dublin) in July 1912 ². After this public humiliation O’Farrell withdrew from public performance and died in obscurity in Dublin in 1938. O’Farrell made only one known recording during his lifetime, a fragment of which survives as part of the Busby-Carelny Collection of wax cylinders at the Irish Traditional Music Archives ³. The recording, from 1910, is highly unorthodox – the sound recordist’s notes document that after a spoken introduction by Michael O’Shaughnessy, who was perhaps expecting a reel or jig, O’Farrell proceeded to play extremely long drones on the pipes’ regulators, ignoring the chanter completely. The recordist tried to record as a faithful a version of the performance as he could, changing wax cylinders as rapidly as possible as O’Farrell played without break, but unfortunately ran out of spare cylinders after about 15 minutes; O’Farrell apparently kept playing for almost half an hour longer. This recording is presented here – it has been digitised for presentation and the recordings from the different cylinders edited together as closely as possible. For this reason, O’Farrell’s work is considered an early exponent of drone music in Ireland ⁴.
Untitled (excerpt) (1910) by Ultan O_Farrell. Performed by Ultan O_Farrell. In the 1960’s O’Farrell achieved a moderate cult status after the recording was taken up by the experimental radio station WFMU in New York and subsequently played on Radio KPFA, Pacifica Foundation station in Berkeley. O’Farrell was cited as an influence by Pauline Oliveros in a 1972 interview with Orland Boulanger ⁵. ¹ Captain Francis O’Neill, Captain Francis. 1913. Irish Minstrels and Musicians, Chicago. Regan Printing House. ² Photograph by Roe McMahon at the instance of the Pipers’ Club, Dublin, immediately after the Union Pipes Competition in the Rotunda on Tuesday 2nd July 1912. ³ The Busby-Carelny Collection of 48 wax cylinders and associated MS and TS material was acquired by the Irish Traditional Music Archives (ITMA) from Ellen Carney and digitised in 2008. ⁴ White / Boydell. 2013. 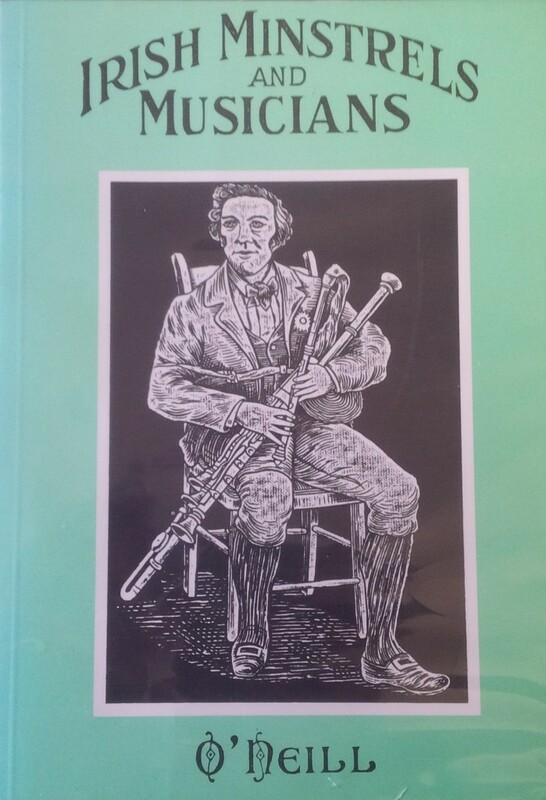 Encyclopedia of Music in Ireland. Dublin. UCD Press. ⁵ Pauline Oliveros in interview with Orland Boulanger. American Public Media. June 1972. This entry was posted in Drone, Improvisation, Traditional Music. Bookmark the permalink.